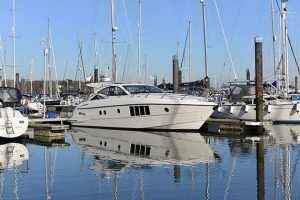 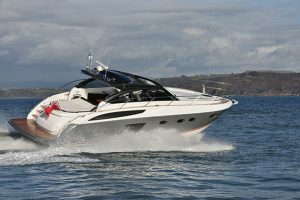 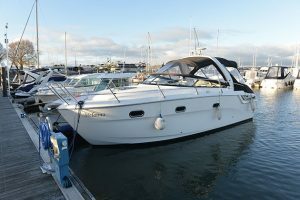 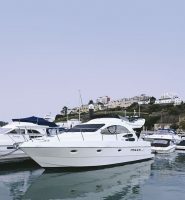 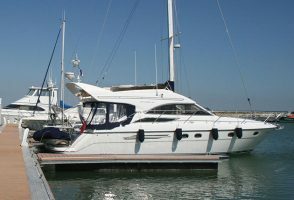 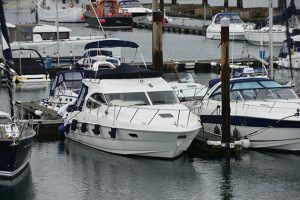 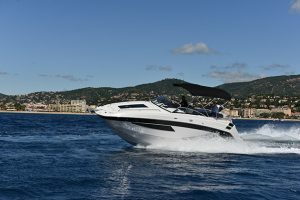 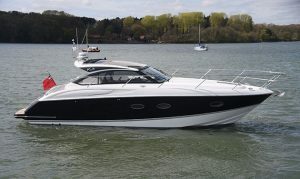 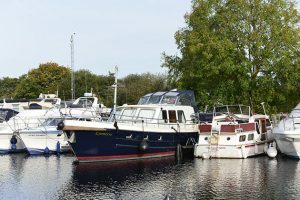 Launched in 2005, the Sealine SC29 was a sharp change of direction from the popular but somewhat ‘blobby’ S28 it replaced. 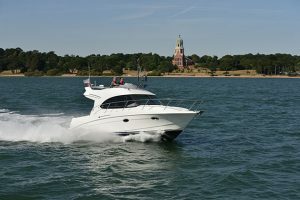 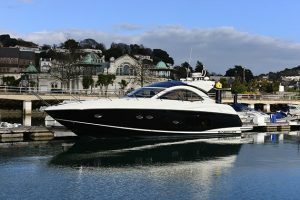 Not only was the exterior styling radically different, with sharper lines and a swooping roofline but the SC29 signalled the start of the relationship with racing boat designer Ocke Mannerfelt. 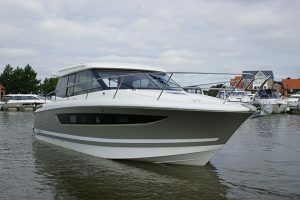 In fact, it was the first Sealine ever to use a stepped hull. 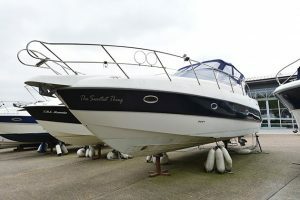 Radical stuff indeed. 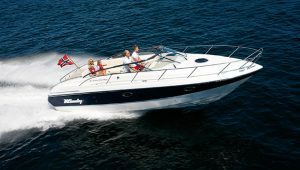 The innovations didn’t stop with styling or hull architecture, though, as the SC29 was one of the boats to pioneer the canvas sliding roof that is so ubiquitous these days. 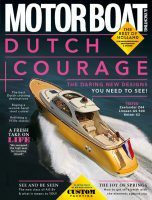 To have the cover of a hardtop with such a wide aperture when open was a real treat at the time, and still is. 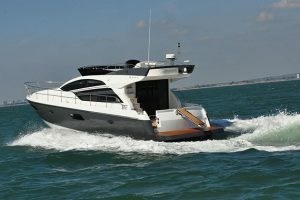 An extra foot of length and six inches of beam ensured that the SC29 felt more voluminous below decks than the outgoing S28, too. 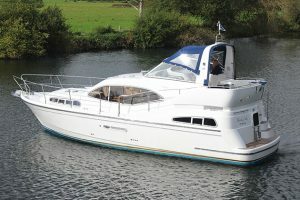 There’s also a generous horseshoe of dinette forward, a larger galley and a more spacious midships cabin. 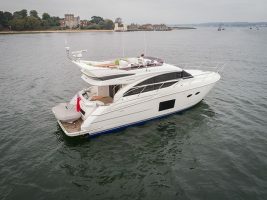 On deck , though the layout is reasonably safe, there are some lovely touches like a neat ‘clamshell’ incorporated into the aft end of the roof coaming to stow the drop-down aft canopy and a folding helm seat that converts from chair to leaning post in an instant. 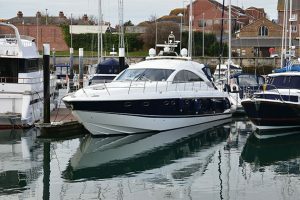 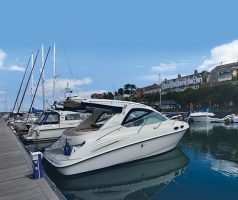 It’s a shame that quality little boats of this type aren’t made in the UK any more but with SC29s floating around on the market for £55,000-£90,000 we needn’t be too glum.